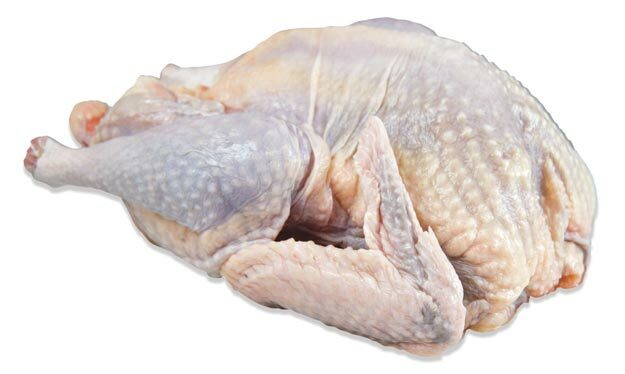 Guinea hens (also known as guinea fowl) are lean, darker meat heritage game birds. From authentic French breeding stock, these guinea hens are raised on family farms in North Carolina to strict Label Rouge standards. Smaller than conventional chickens, guinea hens are a flavorful alternative. The robust flavor of guinea hens has been prized since the days of the Ancient Egyptians. Stronger than chicken but not as bold as duck, guinea hens can be prepared with the same ingredients and flavors that you use with other poultry. Commonly roasted whole in Europe, guinea hens can also be braised, seared, or otherwise cooked similarly to chicken. Because they’re lean, barding (wrapping with bacon, pancetta, or lardo), basting, brining, or rubbing butter under the skin is recommended.